West Palm Beach, FL – With a drier than average dry season so far and what are historically the driest months of the year still to come, the South Florida Water Management District (SFWMD) is hard at work planning to ensure adequate water supply amid potential water shortage conditions over the coming months. From the start of the dry season in November through today, rainfall totals Districtwide are about 17 percent below average. Some areas, such as eastern Palm Beach County, are about 45 percent below average. Lake Okeechobee's water level stands at about 12.42 feet with what are historically the driest months of the year still to come. Because of the dry conditions, SFWMD officials are proactively planning for any potential water shortage conditions. 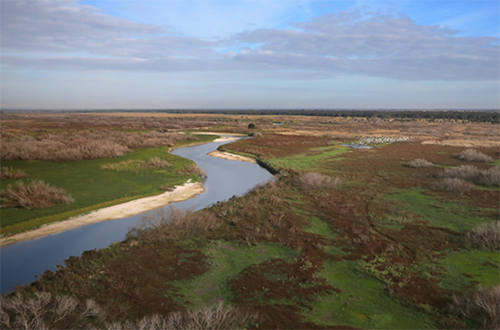 Teams will continue to monitor conditions and will report to the SFWMD Governing Board at future meetings if any actions, such as water shortage warnings or restrictions on public uses, are warranted. SFWMD and local municipalities already enforce year-round watering restrictions that limit landscape watering up to two or three days per week depending on the location. To learn more about year-round landscape watering limits in your area, click HERE.